Welcome to the Meadows Court Care Home website, as you have already chosen to view our site, it is very likely that you are looking for a full time care solution for either yourself or a loved one. You will have probably now realized that there are a lot of Care Homes out there that are offering these services and are wondering how to choose between them. We hope you will take a little time to read through the following information on our website, through which we will tell you about Meadows Court and why we may be the right choice for you. 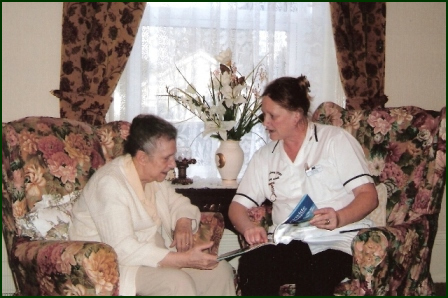 The decision to enter residential care and the process of selecting the right care home is often undertaken at a time when we are both physically and emotionally frail. It is a really critical decision which will affect the quality of the rest of our lives in a fundamental way, and it is also outside our usual experience. We may not necessarily know or understand the right questions to ask or the qualities which we need to look for. It is so much more than the room and facilities, it is about the atmosphere in the home, and the approach and empathy of those providing these care services. We understand that choosing a care home is a difficult time for all concerned, so it is essential that there is clear information available, so that residents and their families can make informed choices. 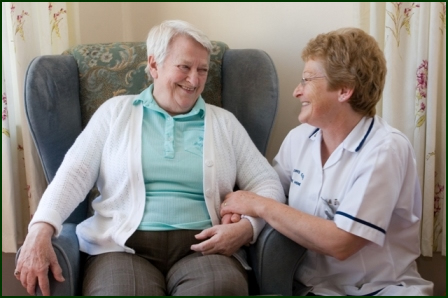 We are also aware that admission into a care home can be a traumatic experience for any prospective resident and their family, so we endeavour to make every effort to support, reassure and assist all parties through this difficult time. One of the most difficult choices anyone has to make is deciding to move into more appropriate and suitable accommodation. This is a difficult decision at the best of times, but when it’s necessitated by illness, infirmity or an inability to cope with current surroundings, the impact and emotional stress is even greater. Suddenly the choice of accommodation can seem to be one that is forced upon you. Given that this is often the context within which people make decisions, it is vitally important that good information is to hand and one is able to analyse the situation and subsequently make properly informed choices. Despite the difficulties of making decisions in a crisis, the thing that you need to remember is that there are choices and with the right help and support, this can be a positive move even though the circumstances surrounding it may be difficult. Our aim is to create an atmosphere in which all our residents can live in comfortable surroundings and as normally as possible, based on our philosophy upon the need to understand and respect people as individuals at all times, and our goal is to ensure that every single resident at Meadows Court enjoys the finest quality of life in an atmosphere of warmth, safety and security, rest assured you will have the benefit of experienced staff, who will be providing care and reassurance 24 hours a day, seven days a week. We hope that you find the information in our website useful. Although we have tried to explain our services in a clear, easy to understand way, some of the issues we have mentioned are quite complicated and there is a lot of information to take in, but don’t worry if you feel you need more help. Our Manager will be happy to explain anything that you don’t understand and also provide further information if needed. We will be happy to come out to you for your assessment at your convenience or if you prefer, call in for a cup of tea and a chat, we will be happy to see you and show you around meadows court.